Tiger Eye helps to remain balanced and connected working on higher goals and raises vibrations connecting to the lower chakras increasing your personal power. 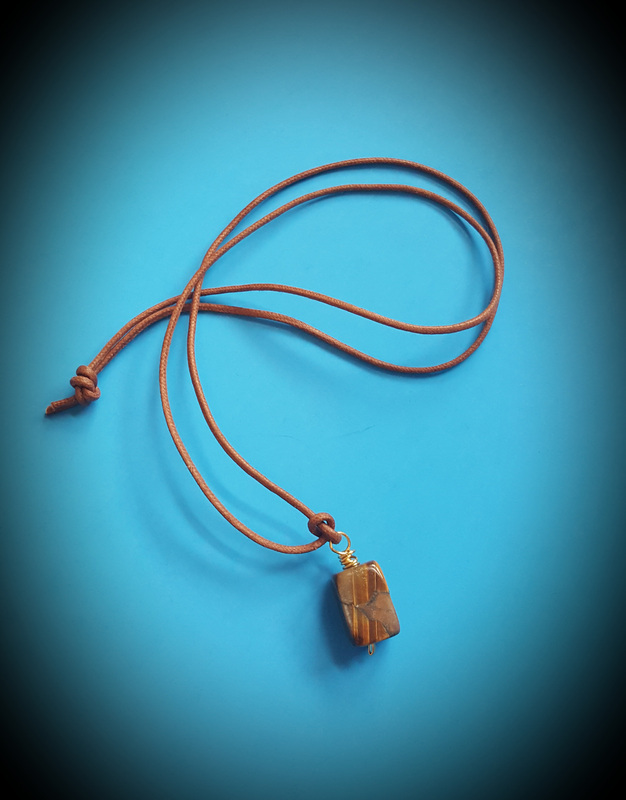 Brown cotton cord. Shipping $3 in the US. Limited quantities!